You'll love the neighborhood feel, beautifully treed yard & layout of this 4 bed, 4 bath home. 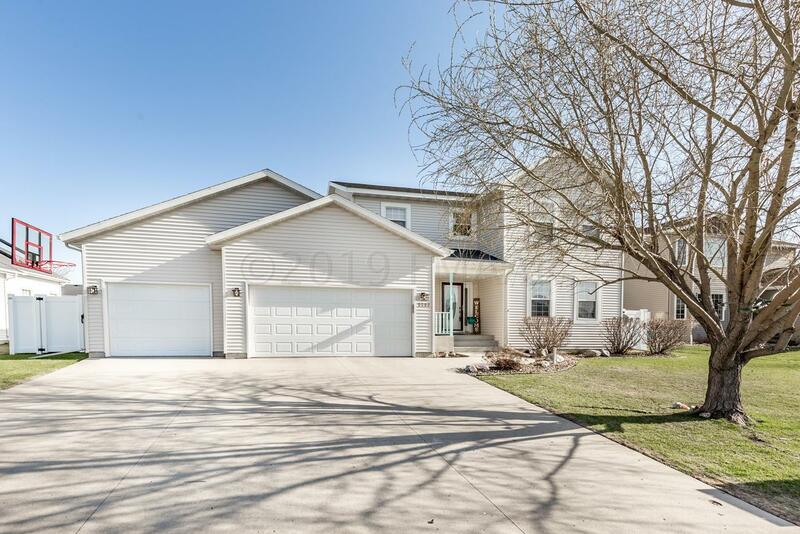 The main level features a spacious family room w/ gas fireplace, living room, half bath, kitchen w/gas range & breakfast bar plus a dining room that overlooks the fully landscaped backyard. Upstairs you will find two bedrooms with an adjoining bath, a lovely master suite & laundry room w/sink. The large master suite offers a vaulted ceiling, two walk-in closets & private bath with garden tub & separate shower. The lower level includes another bedroom, full bathroom, family room & plenty of storage space in the XL utility room. Oversized & finished 3 stall garage and 12'x8' shed. Concrete patio, maintenance-free deck & new playset complete the fenced backyard. Blocks away from 3 WF schools! Utility Room: water filtration system&lots of storage!